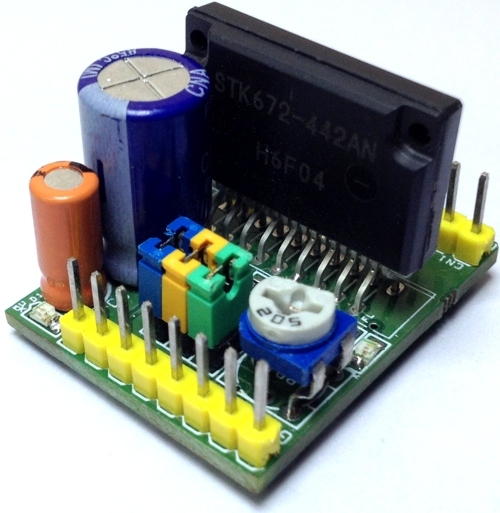 The project published here is a high-performance Unipolar stepper motor driver that offers PWM controlled high current output. 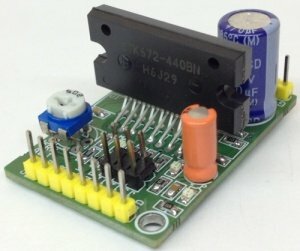 An Arduino board and the project published here can be combined to create a good Unipolar stepper motor driver with micro-stepping, supply 36v DC and load current up to 4A. 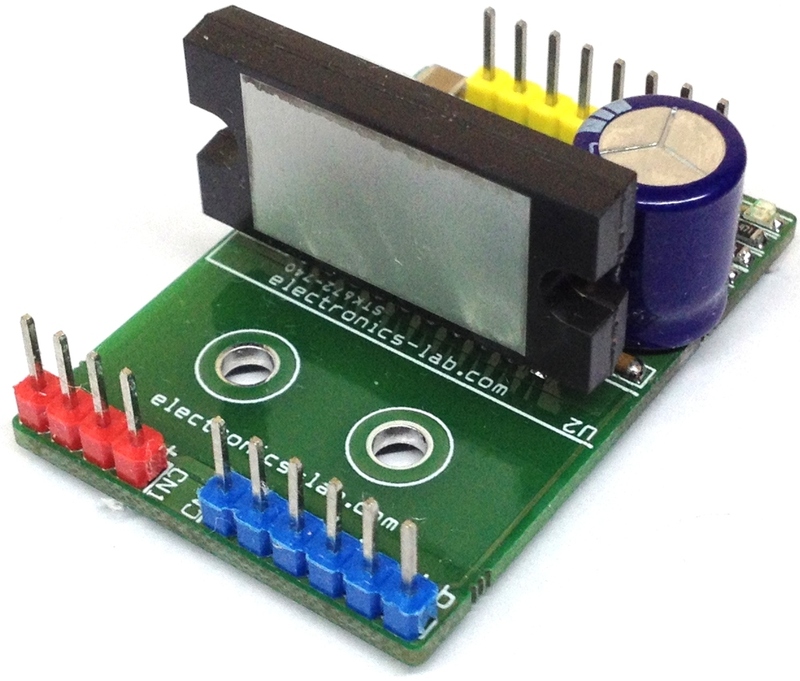 This board requires a sequence of 4 phase pulses which can be feed and generated using Arduino or any other microcontrollers. 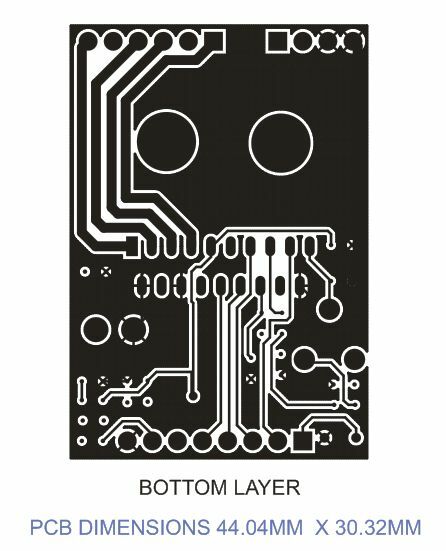 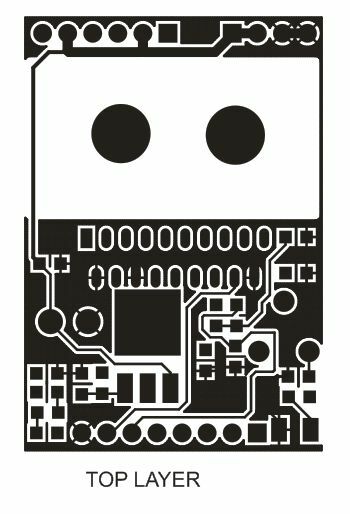 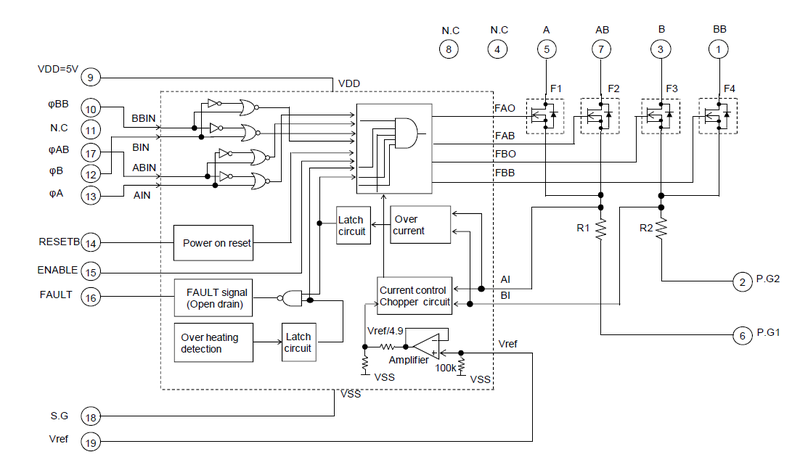 IC incorporates various functions like built in over current detection, over heat output OFF, fault output (active low) when over current or over heat detected, and also has built in power on reset. 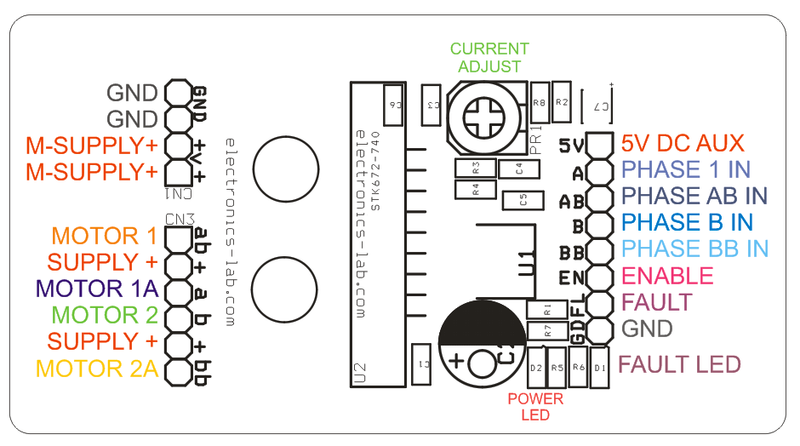 LED D2 is the power indicator, LED D1 indicates a fault. 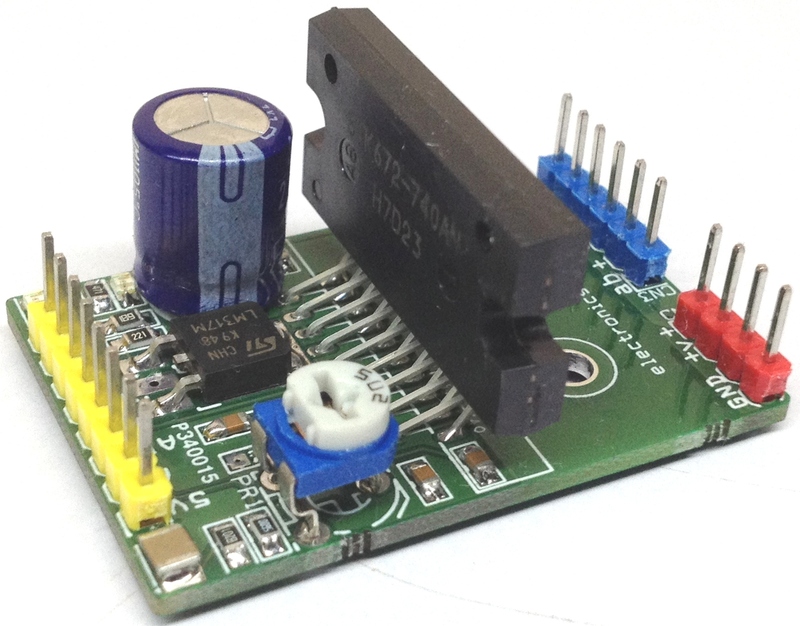 PR1 trimmer potentiometer provided to set the current. 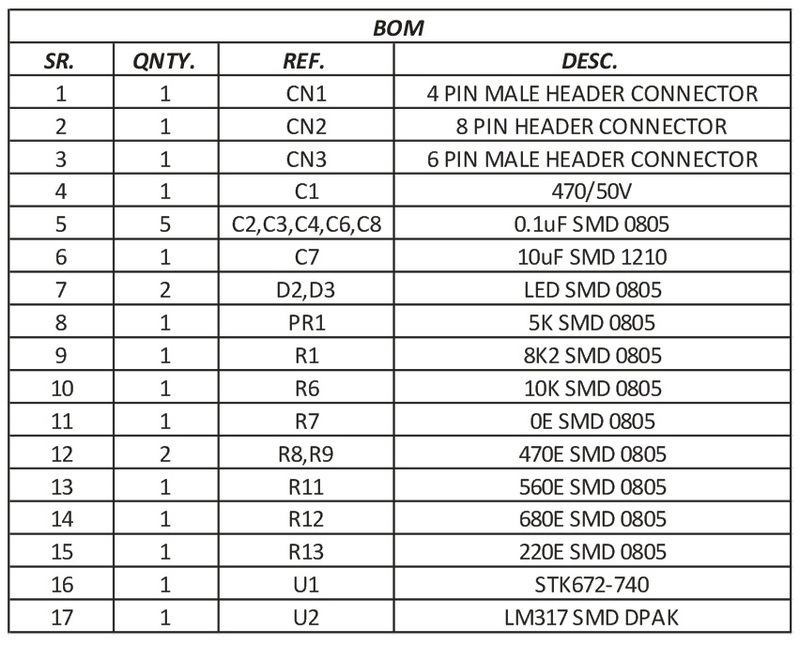 Refer to datasheet of STK672-740 for pulse sequence and timing information. 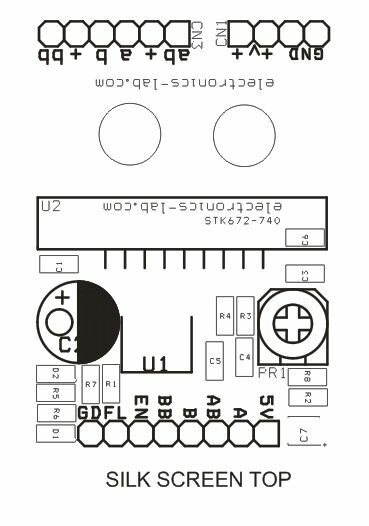 The projects supports 5 Wire, 6 Wire and 8 Wire Stepper Motors in unipolar mode. 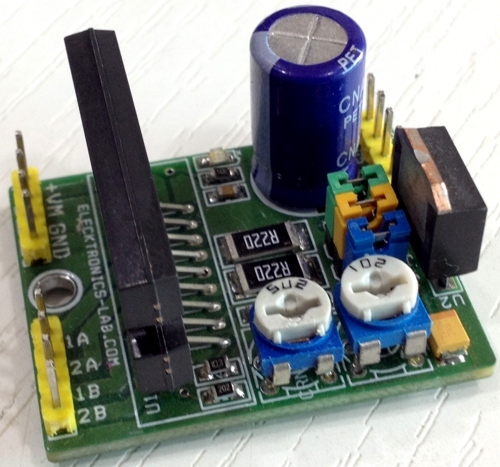 The board works perfectly with motor supply up to 36V DC, however motor power supply is possible to go up to 50V DC, in this case remove LM317 regulator, and supply 5V from external power supply. 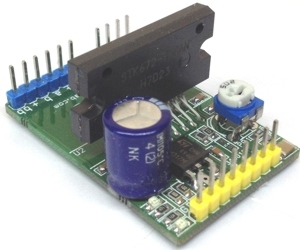 Enable pin can be used to cut output current while maintaining the excitation mode.